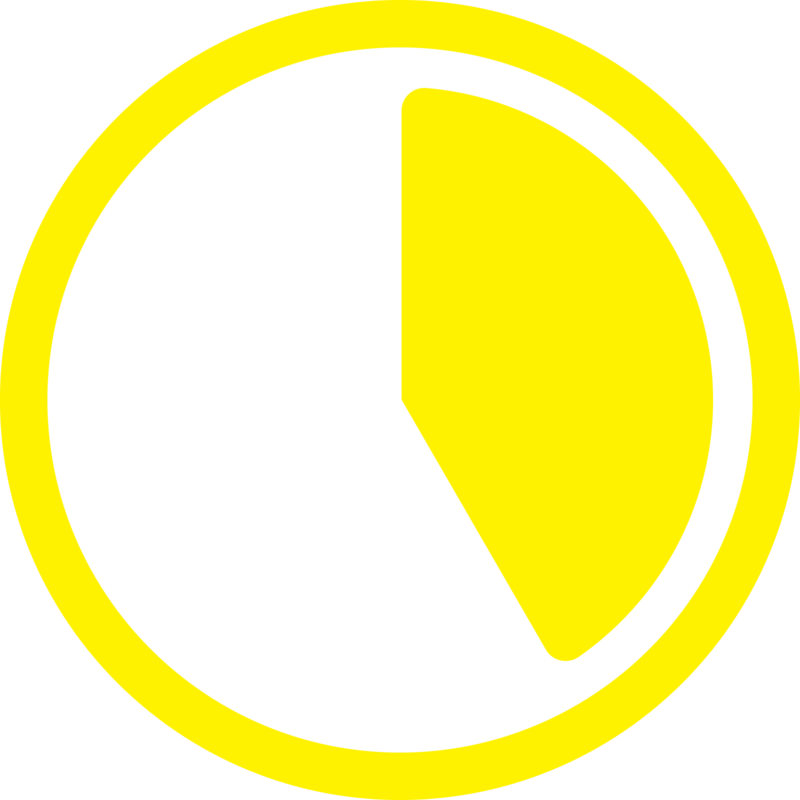 25-Minute Meetings work! 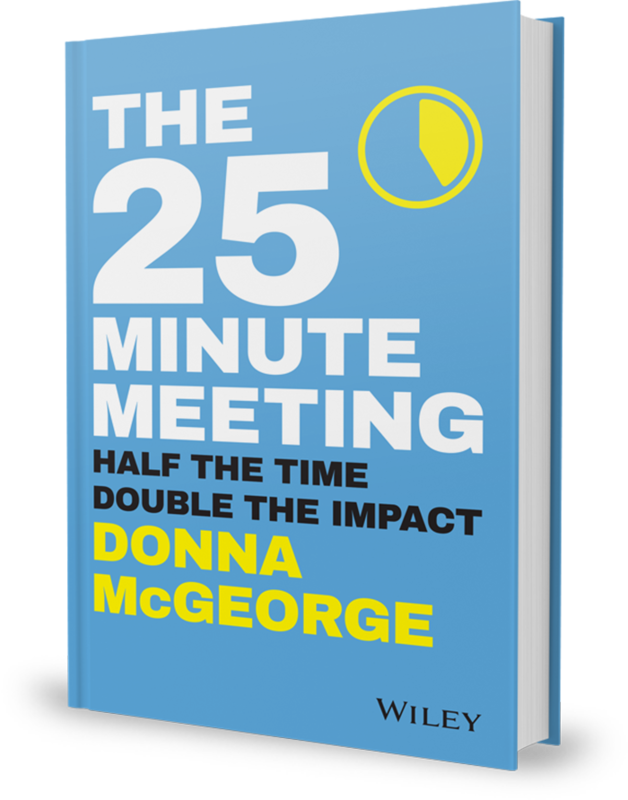 Check out the stories here from people who have successfully implemented the 25-Minute Meeting process. You can also share your stories on our 25-Minute Meeting facebook page. I once observed a three-day meeting with over 60 delegates where they achieved a full strategic plan without the use of one PowerPoint slide. (Yes, really.) Instead, every discussion was captured using a ‘graphic recorder’. Get out of the ofﬁce and move! I took a contract a few years ago that involved spending a lot of time in an ofﬁce, and in long, boring meetings. There was one colleague, however, who used to do his meetings while walking around the block. An executive team I once worked with needed to improve their overall meeting structure and governance. The nature of their business was fast paced and rapidly changing, with a strong sense of urgency, and their current meetings did not reﬂect this at all. While I was working in Shanghai, a manager who led a global team shared their strategy for being more personable and building relationships with distance teams. Stuart is a web designer, and he meets regularly with clients to be briefed on projects, provide updates and manage projects. A colleague, Liz, was recently conducting a coaching conversation with a client. When the client arrived, Liz noticed that they were quite agitated. After some initial small talk it was clear that, while the client needed the coaching session, spending an hour in the meeting was not going to be useful for them. Michelle is a travel consultant who deﬁnitely considers her time to be money. She is one of the most successful travel consultants in Australia and I had the pleasure of watching her work as part of an ‘observation of excellence’ two-day project. One of my 25-minute meeting clients instigated a ‘no tech’ rule. At ﬁrst, people were a bit resistant and reluctant. ‘What if someone needs to get hold of me urgently?’ The manager explained that if they were running 25-minute meetings, then they would only have to wait 25 minutes to respond to emails or voicemails. Once upon a time, a manager decided to do something about the poor meeting culture in his part of the organisation. Sandra’s days are full of back-to-back meetings that she needs to attend. Most of her meetings have a set agenda that is emailed out the day before to the team members.